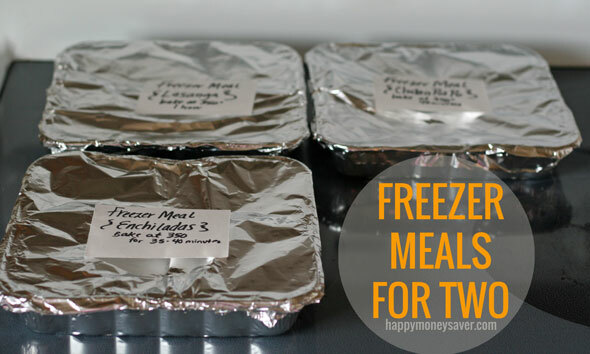 Freezer meals are a great way to save time during a hectic work week, but what if you just need meals for two of you? Here are some tips I pulled together to help the newlyweds, empty-nesters and everyone in between. 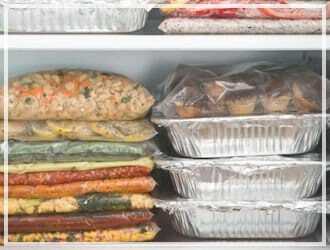 Generally, as long as you’ve wrapped and stored the meal properly, freezer meals last at least 3 months and up to 6 months and still taste great. 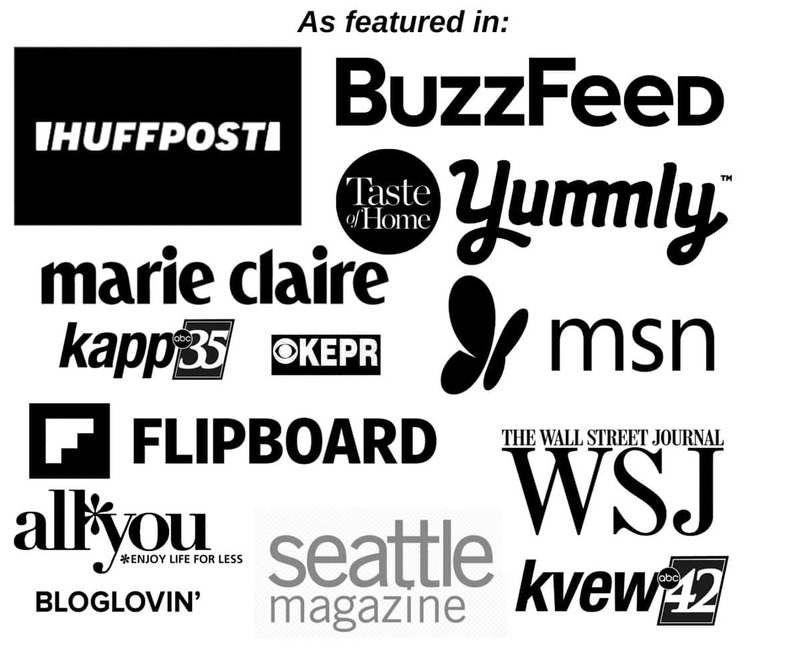 Note that this has to do with quality. Basically food in the freezer can last indefinitely as long as the temperatures in the freezer remain low enough, but if food isn’t stored properly or is in there too long, when you thaw it and cook it, it might have a weird texture or strange taste to it and, well, it’s just plain icky. The nice thing about freezer meals lasting so long is you don’t have to worry about cooking only “recipes for two” like you do for typical meals. Take any recipe that has been deemed “freezer-worthy” and make it. If the recipe makes too much for just two people (including leftovers), split up the recipe into smaller portions. Just make sure to label the food with what it is and the date you made it. For casseroles, rather than making the casserole in a large 9×13, get two 8×8 foil pans and split up the meal between the two. 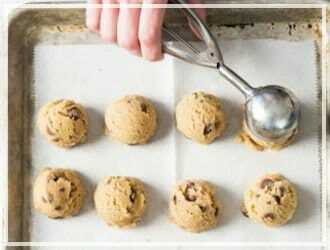 Make sure to adjust the baking time accordingly. What’s great about foil pans is they’re cheap and they can be used time and again, if they’re cleaned and cared for properly. 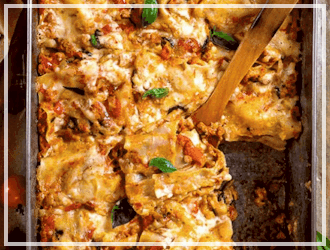 Check out my Homemade freezer friendly Lasagna recipe. Soups, chilies and stews are easy when making freezer meals for two because you can split the soup into freezer bags however you want. Split it up into individual portions, split it in fourths or split it in half—whatever makes the most sense depending on the size of the recipe. 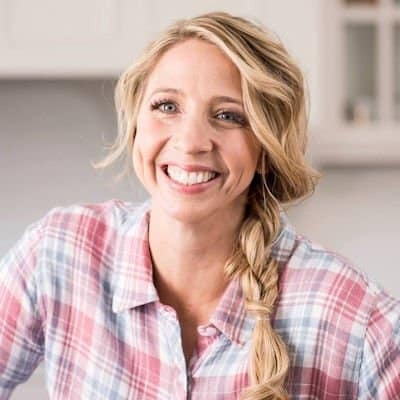 Crockpot meals are a little more difficult because for a slow cooker to cook the food properly, it needs to be at least half full, though some require that they are three-quarters full (check the cooker’s user manual to be sure). If it’s not full enough, your food will get dried out and burned. So for freezer crockpot meals for two, make sure you’re using the right size of slow cooker, such as a 3.5 or 4 quart slow cooker rather than a 6 quart slow cooker. Or using fresh ingredients, slow cook your meal, then after it cools split up the meal into smaller portions and freeze. My rule of thumb for freezer meal cooking is something should only be frozen once, so don’t use already frozen ingredients to begin with. 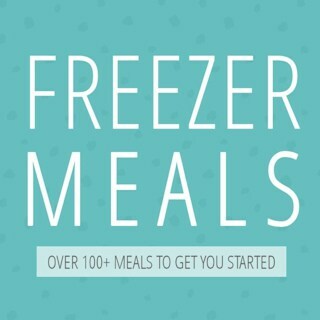 What are your favorite freezer meals? Do you have any recommendations for those making freezer meals for two? I’d love to hear about it in the comments. I never knew about adding a bit of water over fresh produce before freezing though…thanks, great tips here! I don’t like to buy frozen meats, un-thaw and then refreeze, but I will use meat that has come home and gone into the freezer for making meals later and re-freezing the finished product. I too notice no difference in using frozen veggies to making freezer meals. 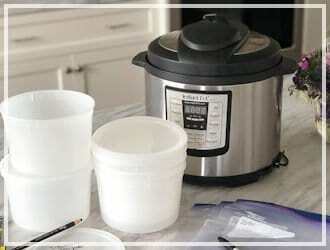 There are only two of us, but I use my 7 qt crock a lot to make huge meals and divide for the freezer in freezer bags. I haven’t tried meals in bread size foil tins or muffin tins yet and can’t wait to get started with some of these ideas! 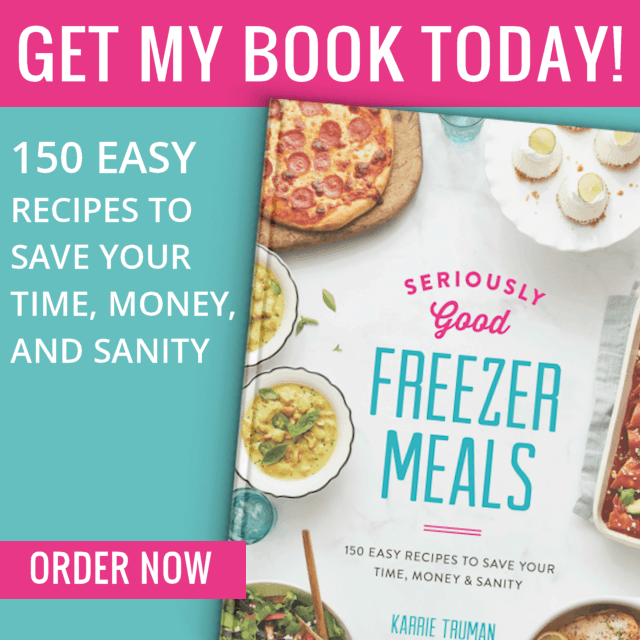 I have been using frozen vegetables in my crockpots and freezing individual portions. Is the twice froze a medical necessity or just an opinion. This is just my opinion, it not a necessity. I prefer to only freeze something once, but I have frozen and refrozen things before. The difference is probably just more in my mind LOL. I haven’t really noticed a huge taste difference. Thank you so much for this. My mother and I were hoping to find easy recipes for freezer bag meals since she got two jobs recently. She’s been very tired most of the time and usually doesn’t make food unless it’s the weekend. My word since I started cooking 40+ years ago, because I am lazy and have other stuff to do, is to cook once then eat 3-4 meals no matter size of family. You have the mess anyways and the stove/oven heated so make enough to make extra and freeze. Save money, time, and cleanup and know what is in your food. Frozen veggies I use, better tasting and not so mushie as canned and not so much waste as I shop only once every three weeks. I use fresh but do not limit myself to just fresh as the old budget sometimes does not match the produce season. So I have a variety of frozen veggies/fruit to throw into whatever chemistry mix I desire for meals, I have never had a problem. However, I do put the unused frozen produce into a plastic container with lid, place a bit of water on top or 100% fruit juice/broth, and then wax or foil over that, then lid to prevent freezer burn. Do the same with meat leftovers; for example, I cook up a big batch of chicken/pork/beef then chop cooked meat for containers for whatever mixture I want; same with sauces. 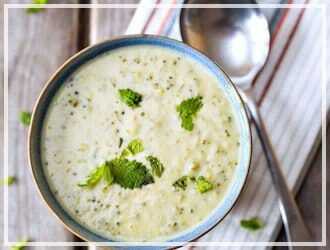 I have ready quick frozen ingredients for any day of the week or I just not feeling good. One consideration: season simple and add different seasons later upon heating up that way you are not obligated to one taste style when making dishes. Thank you so much for this post. 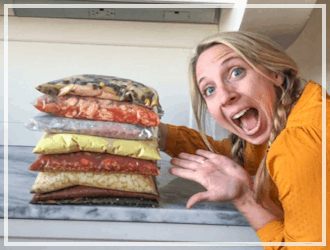 I have been wanting to do freezer meals for a while but with it only being my husband and I, I didn’t want to make such big batches. Today I used a bunch of you recipies plus a couple others I found and now I have 15 meals in the freezer and a roast for french dip for tonight in the crock pot now, with the leftovers i am going to try the beef and barley stew that you have on your site. Thanks again. I started freezing for 2 in bread loaf pans ever since I read Liz’s comment. I don’t use the foil pans though, I use stainless steel loaf pans that I got at the dollar store. At a $1 each–they do cost more–but they won’t ever wear out. If foods get stuck on, I just soak them for a bit and they clean right up. When they are empty they stack very nicely. I have a question about slow cooking for two. You warn that the crock must be 50-75% full to avoid burning the food. I was wondering if you could get around this by adding small whole potatoes on top. The potatoes could be for lunch or dinner the next day. Or maybe place whole boneless chicken breasts on top and then dice or shred & freeze them for another day. finally. 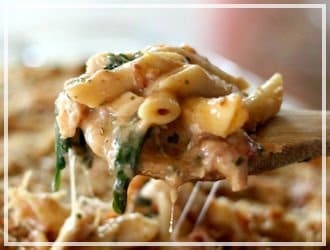 a blog with USEFUL info for low income seniors.most I’ve seen assume you have a high paying job.even tho I’ve been cooking like this for 50 years,some of your recipes are new to me.thanks! I cook for 1. So when I do freezer meals they get portioned into 2-person sized meals. I undercook anything planned for the crockpot. The dollar store always has containers that perfectly fit into my 1.5-quart crockpot. 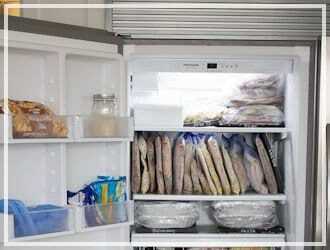 They take up a lot more freezer space than baggies … but so much more convenient. A quick thaw to get it out of the container in the morning & then toss it in the crockpot. Depending on the soup/casserole it is ready by lunch or dinner. Thank you for the info on meals for 2. There is just me but that means I get twice the meals. t as much as possible and remove the air. I freeze these on a cookie sheet. When solid, they will stack standing sideways in my freezer! Saves space! I have just started ten hour days after working many years at 8 hours it cuts my time caring for my disabled wife. This will be a real life saver. Thanks Mike, I appreciate your comment. When I am making fm for 2 I tend to use tin foil bread loafs pans, or plan on trying the large muffin tins, next time around! We love doing lasagne, Tator tot casserole, shepherds pie, chicken enchiladas (red, white, chicken and beef =4 varieties) potato casserole, teriyaki chicken, shish kabobs, taco meat, BBQ pork and chicken, chicken and rice casseroles! That’s a great idea Liz, to use the bread loaf sizes. Liz, your comment gave me some fresh ideas..I use those mini meat loaf pans for the two of us, but I would have never thought of using the large muffin pans..you can buy disposable ones in grocery stores or Dollar Stores.. We recently ate at Chix Fillet(? )and had just chicken salad sandwiches. It came in a nice container with lid so I bought it home, washed it up. Figured it would be good to use for Freezer meals..would line the container with foil, and put casserole or meat in the foil till it was frozen, then put in freezer ziploc bags, then I’d have the carry out container to do more meals. My dear MIl used to keep a Tupperware container in her freezer, and if she had any left over veggies, she would throw them in there, if there wasn’t enough to save for another meal. When the container in freezer was full or 3/4 full, she’d make home made vegetable soup and she made the best! I just started one of those soup containers a few nights ago, when I had left over green beans, about 1/4 c. leftover, so I’ll keep adding to it. 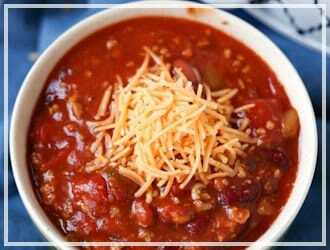 When you’re making a crockpot of chili, save out some to add to hot dogs, freezing in maybe 1/2 c. portions. Nothing like a good beef hot dog, with homemade chili and onions and mustard. what kind of shish kabobs do you make? Do you prepare them on grill outdoors on in oven? Would love to have a recipe for those. We live in a Sr. Citizens community and not allowed to have grills, so mine would have to be cooked in oven. What kind of potato casserole do you make? George Forman style grill can be used inside and make wonderful grilled foods. They come in sizes. The size I bought is just big enough for 2 chicken breasts.